Mexican striker Guillermo Franco (who recently scored his country’s goal in their recent 3-1 international friendly defeat at the hands of England) has confirmed he is to leave West Ham during the summer, after the club decided not to extend the one-year deal he signed upon joining the Hammers last September. “I don’t know where I’ll be next season. 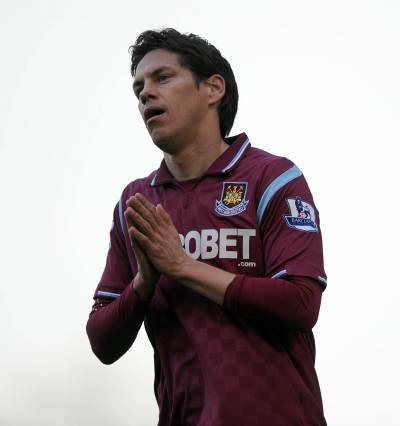 West Ham told me ‘bye bye’ so I won’t be with West Ham next season. Now my focus is on the international team and the World Cup and then I’ll think about next season. West Ham are now left with a jaw-droppingly strong clutch of striking talent at their disposal, including the son of Osiris Mido and big fat Benni McCarthy.